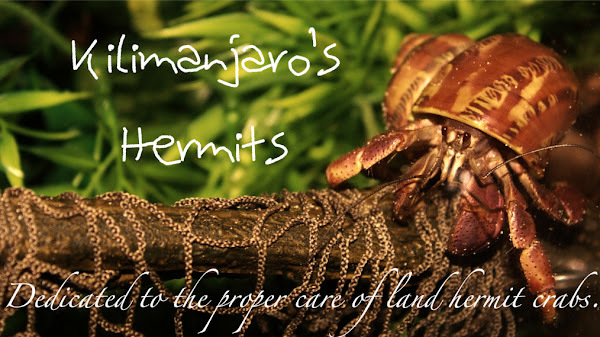 Kilimanjaro's Hermits: Gender Bending Females! Hectic times when two crabs you thought you were males were actually females. One of my Ecuadorians, Kileo, was recently discovered to be a female. Now, she is named Kilea. And back when I first got the Rugs, they were all wearing similar shells and went down to molt and came back up, some never did as they died. I assumed some of them to be who I thought they were, but today, I just found out that the crab I thought was Hikaru is actually a female, Katana. I checked the other Rug, and he is still a male... I'm not sure where the other Rug is at the time, who I believe to be a female, Sakura.